Thanks everyone for the compliments. The miniatures are from 2 different companies. 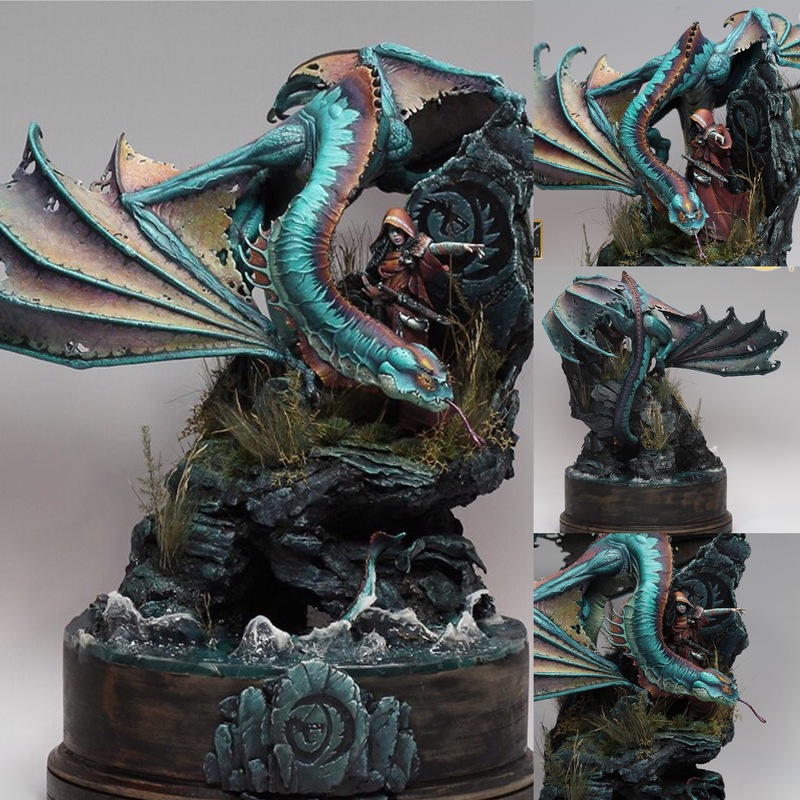 The dragon is from Karol Rudyk art and the female is from Heroes and Villians miniatures. If you’re interested in seeing other projects and WIP check out my instagram at www.instagram.com/chris_suhre_miniature_art. Love this piece, great tones and setting. Just outstanding. Terrific paintjob, but the composition of the scene is what really takes it over the top. Congratulations on the well-deserved bronze. Incredible Piece, both in the Overall look and the details; amazing color choice on the dragon, it looks incredibly alive. Where are the models from?